Pakistan's Chitral District: A Refuge for al-Qaeda's Top Leadership? In the hunt for Osama bin Laden and other top al-Qaeda leaders, security services continue to focus on Pakistan's Chitral district in the North-West Frontier Province (NWFP). Chitral became a concern after the release of a bin Laden videotape from September 2003 in which trees native to the Chitrali mountain range were evident. Extensive search operations for the al-Qaeda leader and fellow operatives by Pakistani and U.S. forces were conducted in the area in February-March 2003 (Dawn, March 7, 2003). More recently, in May there were claims that the Federal Bureau of Investigation had established an office in Chitral to monitor militant activities in the district (The Nation, May 1). Other links to the district include Abu Khabaib, an Arab explosives expert who has been spotted several times in the hills of Chitral. He is known to have helped Sheikh Ahmed Saleem, an Arab member of al-Qaeda. Saleem has been giving money to Lashkar-e-Jhangvi for recruiting militants for al-Qaeda in Pakistan (Daily Times, October 2). Finally, because Chitral is adjacent to Afghanistan's Nuristan province, there is concern that Taliban and al-Qaeda militants are crossing the border between the two countries. Chitral, with its rich cultural heritage and changing religio-political trends, is a fascinating area in the NWFP. It is caught between diverse traditions and rumors of al-Qaeda involvement. In the backdrop of the turmoil created by pro-Taliban elements in the Pakistan-Afghanistan border area and the rising influence of religious political parties in the district, Chitral has become an important focus in the war on terrorism. For centuries, the people of Chitral have lived in relative isolation in their mountain kingdom. They have experienced various political phases, beginning with their involuntary association with the British Empire (1895), their voluntary association with the new state of Pakistan (1947) and finally their incorporation into Pakistan's NWFP (1969). The Katur dynasty that ruled the area collapsed in 1949-50, and the federal government of Pakistan took direct control of the Chitral administration. Geographically, Chitral is bordered by Afghanistan in the north, south and west. A narrow strip of Afghan territory, the Wakhan strip, separates it from Tajikistan. It has always been a very important route for invaders on their way to South Asia, including Alexander the Great and the Mongols. The Chitral Valley, at an elevation of 1,100 meters, is popular with mountaineers, hunters, hikers and Western anthropologists. Imposing mountains dominate the landscape of Chitral, forging a rugged terrain that is home to approximately 325,000 people comprising an area of 243,818 acres. The topography of the district is varied, with 30% of the region covered in glaciers, snow-clad mountains, bare rock and barren ground, and with about 65% of the land supporting pastures with only sparse vegetation. Chitral is cut off from the rest of Pakistan during the winter. Sunnis compose 65% of Chitral, while Ismaili Shiites comprise 35% of the population. A small population of the non-Muslim Kailash community—known for their beautiful dresses and traditional dance—are based in the south of the district. While located in a Pashtun region, the Chitrali people are ethnically different than Pashtuns. They are called Kho and their primary language is Khowar, although about 10 other languages are spoken in the area. One might expect that Pashto would be a natural choice as a second language for many Chitralis, but that is not the case. In fact, Chitralis dislike Pashtuns and their language. Their dislike is in part an outcome of economic factors—for instance, since 1979-80, a large number of Afghan refugees (predominantly Pashtuns) moved into the area and competed quite successfully with the local Chitrali businessmen. Business in the region is predominately agricultural. Chitralis have a reputation for being civilized and peace-loving. Their folk singers are popular in various parts of Pakistan. There is a fairly sizeable seasonal migration of Chitrali men to Peshawar and to other cities of Pakistan for winter employment. Additionally, many have found employment in the Gulf States. Relations between Sunnis and Shiite Ismailis have been cordial historically, but have recently become more heated now that Wahhabis have more influence in the area. 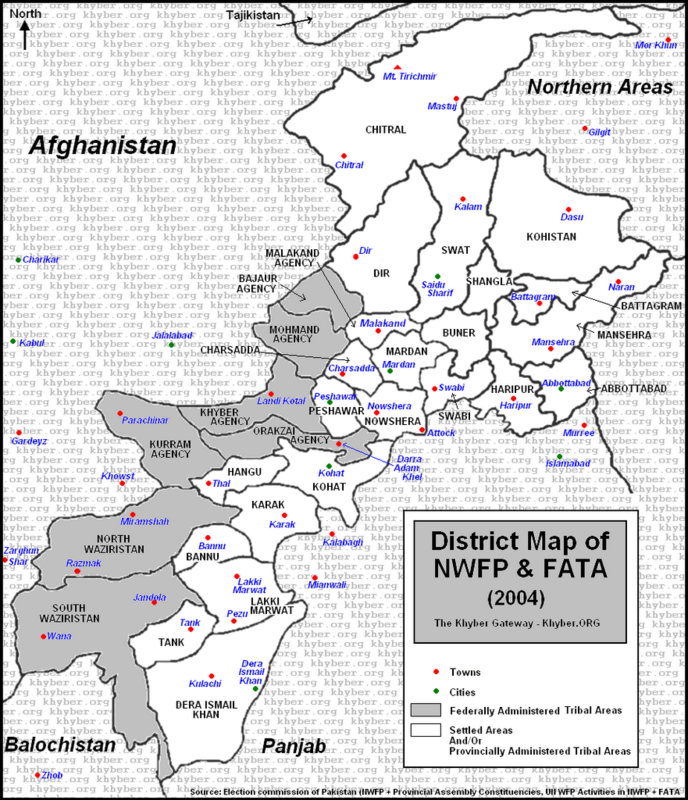 In terms of political orientation, however, Chitral has been steadily becoming more conservative. For instance, its current representative in the National Assembly of Pakistan, Maulana Abdul Akbar Chitrali, belongs to Jamaat-e-Islami (part of the religious MMA alliance) and is a chief administrator of a seminary in Peshawar named Jamia Arabia Hadiqatul Uloom. Interestingly, he is best known for leading a mob that burned down the offices of the Frontier Post newspaper in Peshawar three years ago after it published a "Letter to the Editor" with controversial religious connotations. More troubling signs emerged in late 2004 when the offices of a progressive Pakistani NGO, Aga Khan Rural Support Program (AKRSP), sponsored by Ismaili leader Prince Karim Aga Khan, were attacked by religious extremists. Developments came to a head on December 27, 2004 when two workers of the Aga Khan Health Services Office in Chitral were killed in a terrorist attack and four vehicles owned by the charity organization were destroyed. The culprits turned out to be two men associated with the declared terrorist group Lashkar-e-Jhangvi, which has links to al-Qaeda (Dawn, January 5, 2005). 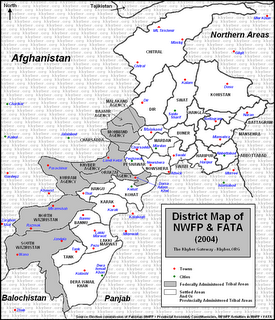 In a December 29, 2004 Daily Times editorial titled "Chitral Trouble is Symptomatic of Deeper Malaise," the paper maintained that this development was an outcome of sectarianism and that "in Chitral, the Shiite-Sunni tension dates back to 1988 when the Northern Areas were attacked by Pashtun lashkars." In conclusion, due to Chitral's location on the border with Afghanistan, elements of al-Qaeda may find refuge there. The mountains potentially provide a good cover. Yet, another potent factor has to be kept in perspective—because much of the district's population is not friendly to Pashtuns, they may be less willing than other areas of the NWFP to provide sanctuary. Pashtunwali has very limited appeal in this area and Ismaili Shiites (35% of the population) are anti-al-Qaeda to their core for sectarian reasons. Therefore, one can speculate that the al-Qaeda leadership may have passed through this area during their "travels" in the region, but are unlikely to consider Chitral a place where they can find safe refuge for a long period of time.